Lives have been lost and lives have been placed at risk. IMPORTANT: If you believe that you or someone you know has received a false negative on their pap smear call Andrews & Thornton IMMEDIATELY at (800) 664-1734. Accurate reading of Pap smears detects cell changes in the cervix to help prevent cervical cancer. It has been discovered that Clinical Pathology Laboratories (CPL) missed abnormal pap smear results. CPL is a lab that your doctor may have used to examine your Pap smear to discover whether there were abnormalities that may suggest current or future cancer. At least seventeen women have died of cervical cancer as a result of false negative reports (because the actual results were positive for precancerous cells). The errors go back to 2010. The problem was first discovered in Ireland. Reviewing the tests of 1,400 women who developed cervical cancer revealed that 208 of those tests found signs of cancer that had been missed. Clinical Pathology Laboratories is an Austin, Texas-based company. CPL merged with Sonic Healthcare Limited, which is headquartered in Sidney, Australia, with operations in the U.S., Australia, Ireland, Germany, Switzerland, the United Kingdom, Belgium, and New Zealand. CPL operates labs across the southwest. Over 1,850 people are employed by CPL, and over 150 pathologists are affiliated with the lab. Medical facilities have begun investigations to determine if their patients have been victimized. It is important that you save any communications from your healthcare providers about irregularities in your Pap smear. 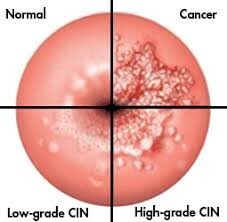 Detected Early, Cervical cancer preventable or treatable. The American Cancer Society reports that pap smear screening can prevent most cervical cancers by finding abnormal cervical cell changes (pre-cancers) so that they can be treated before they have a chance to turn into a cervical cancer. Caught early cervical cancer is usually treated successfully. How can you find out if you may be a victim? Have you been diagnosed with cervical cancer after being told your last Pap smear was said to be normal? You may receive a letter notifying you. We can assist you to investigate. You would not routinely be told of the laboratory that reads your Pap smear. Andrews & Thornton is investigating missed abnormal pap smear readings by Clinical Pathology Laboratories (CPL). If you believe that you or someone you know has received a false negative on their pap smear call Andrews & Thornton IMMEDIATELY at (800) 664-1734.